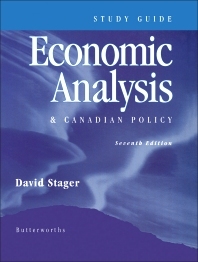 Study Guide: Economic Analysis & Canadian Policy, Seventh Edition is a companion text to the book Economic Analysis and Canadian Policy, Seventh Edition. This guide helps in gaining a better comprehension of the concepts, theories, and policies of Canadian economy. The chapters in this manual correspond to those in the textbook. This text provides a list of important terms and concepts; multiple-choice and true/false questions; and problems for review and discussion. This guide will be useful to students and readers, who are currently studying economics, especially those with access to this text’s parent book.